Winnifred Spangler has thrown herself into community work to ward off the pangs of her lonely heart. Fairview, Idaho Territory, is snowed in—and cabin fever has set in with a vengeance. Winnie organizes a gift exchange for the town’s single young adults. Her hope is that a few of them will find the loves of their lives. 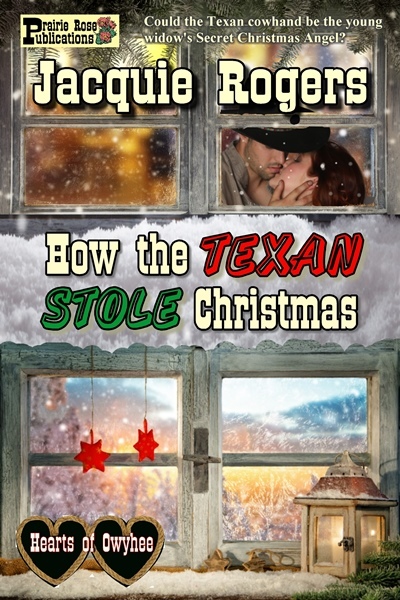 Judd Shaw, a Texas cowhand, hates the ice and cold. As soon as the roads are passable, he’s headed back to Texas. But thanks to his childhood friend, he’s caught up in the Secret Christmas Angel game, and the name he draws is the prettiest widow in all of Idaho—Winnie. 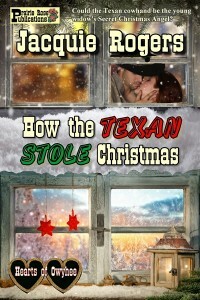 Can Winnie’s smile melt his hardened Texas heart?